Zendaya, star of the hit Disney Channel series Shake It Up, shares her wit and wisdom on everything from fashion to friendships to following your dreams! 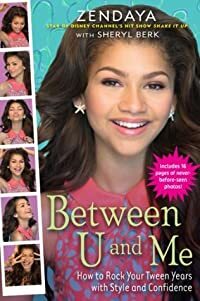 This book, inspired by actual questions that Zendaya has received from her over one million Facebook fans AND Twitter followers, will be the perfect way for girls everywhere to get even closer to their social media BFF! Photos of Zendaya's friends and family give her fans an even more personal glimpse into her life.